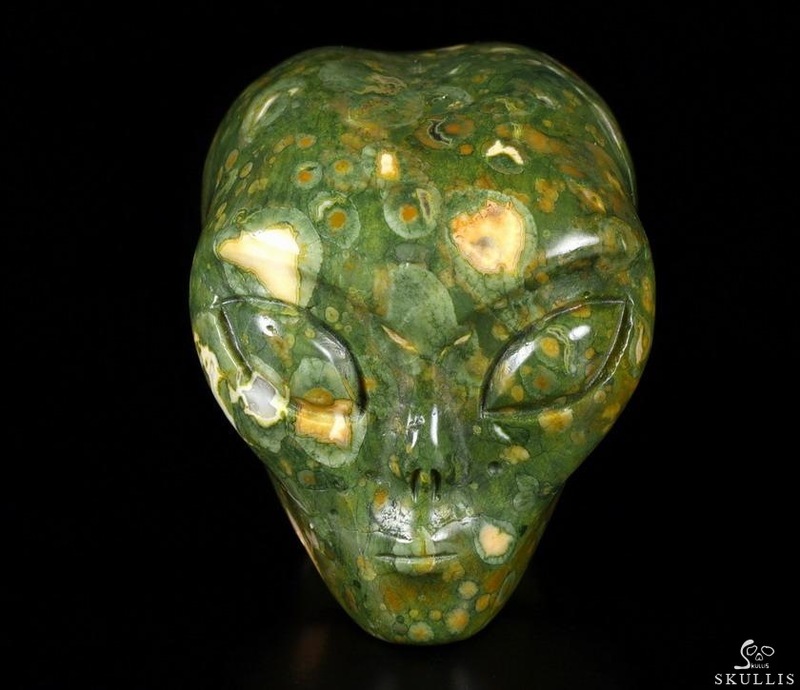 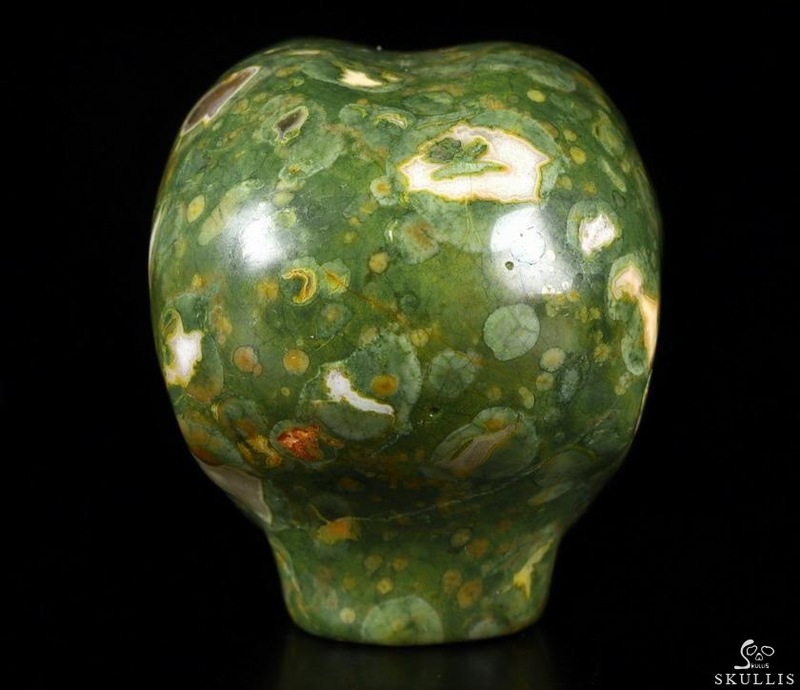 Rainforest Jasper has a greenish background color with contrasting eyes. 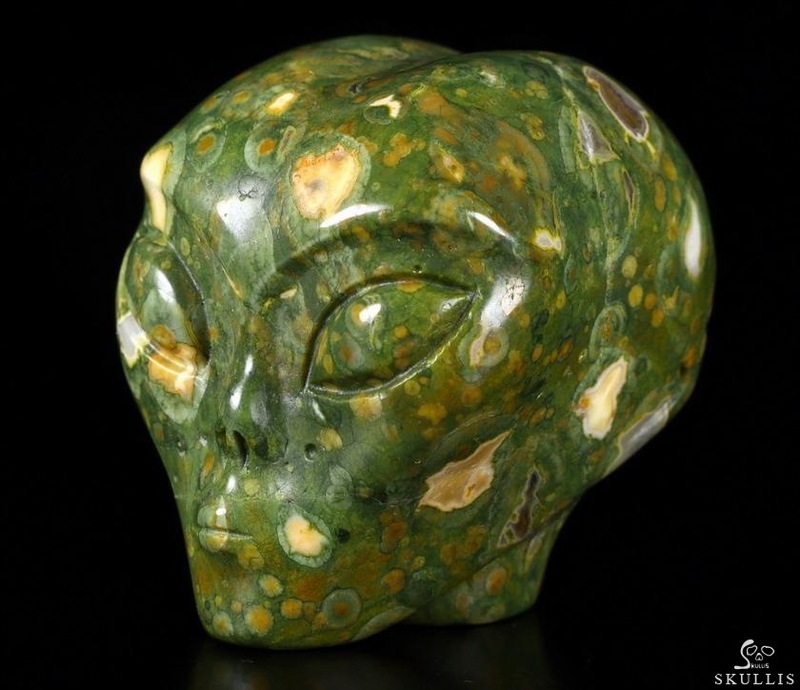 Also known as Rhyolite. 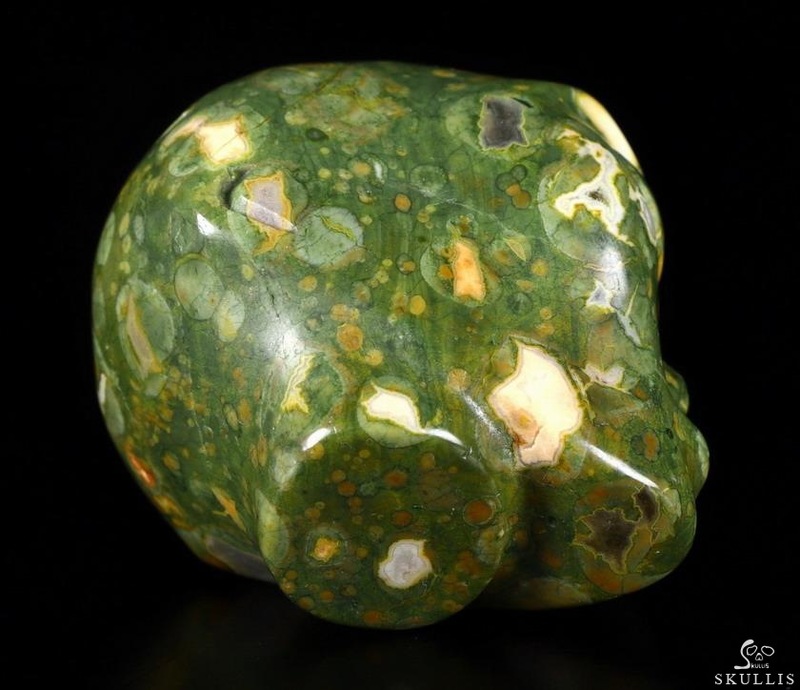 Rainforest Jasper is often used to balance the feminine and masculine energies, and to help the reclusive allow other persons in their lives. 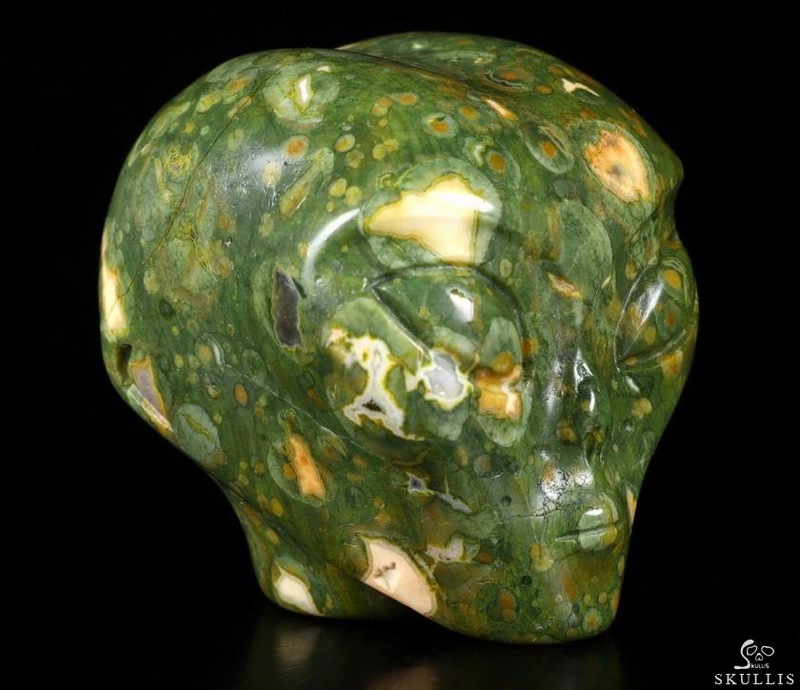 Rainforest Jasper helps in all forms of communication, including listening. 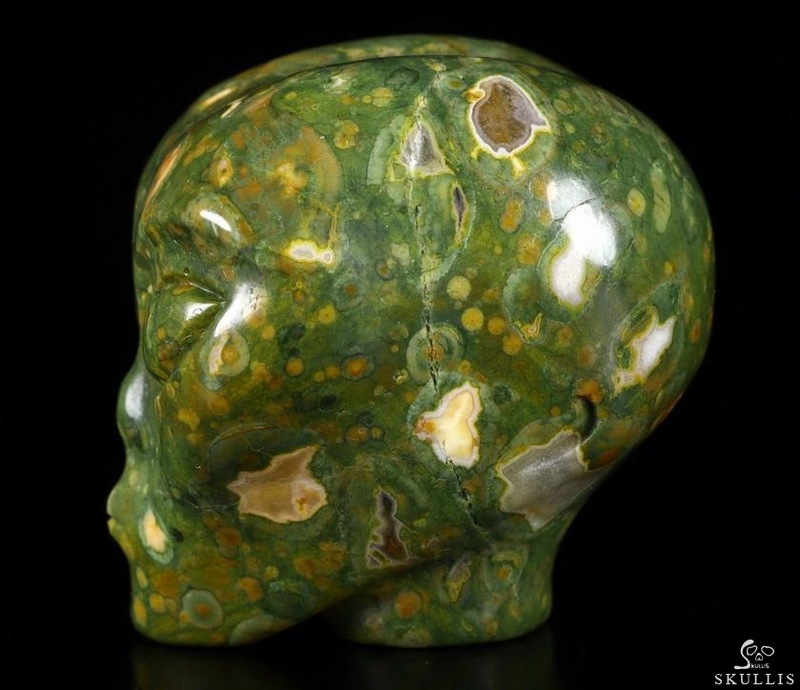 Rainforest Jasper is associated with and is beneficial to the 3rd and 4th Chakras. 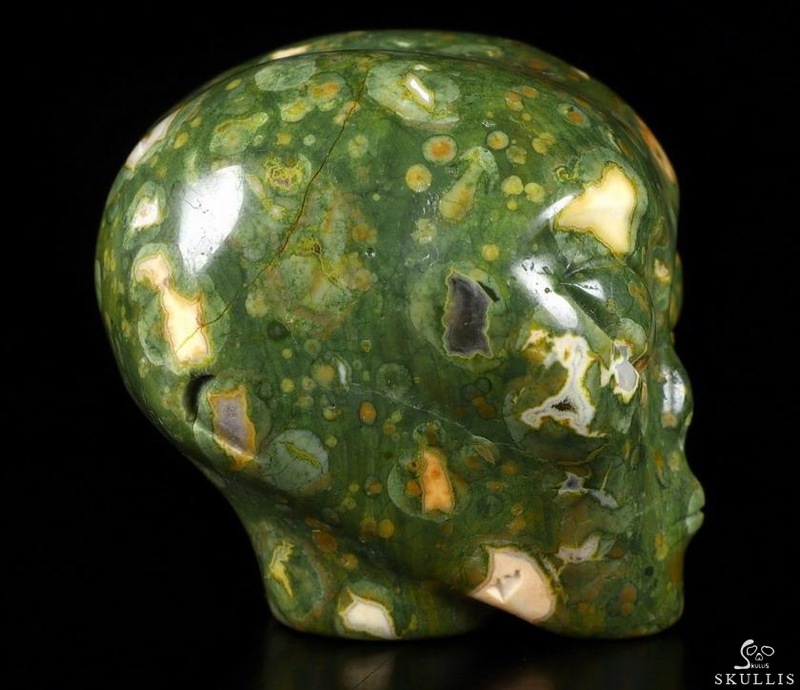 Rainforest Jasper's healing actions are taken advantage of in liver cleansing and regeneration.